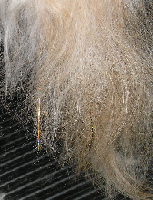 Creative grooming often brings up visions of a poodle styled to resemble a buffalo. 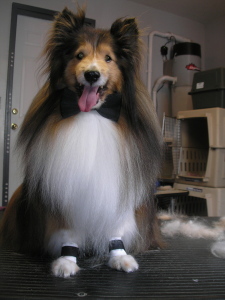 You will see this type of artist grooming in competitions, but is impractical for the average pet. 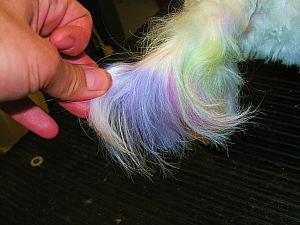 An imaginative groomer can think of many artistic ideas to add that extra flair to your pet. The most common artistic flair is bows in the ears of dogs. Bandanas are also common in putting the finishing touches on a dog..
As our pets become a more intricate part of our lives, they part take in important passages of our lives as well. But we don’t have to stop at a bow tie, let’s add some cuffs too. 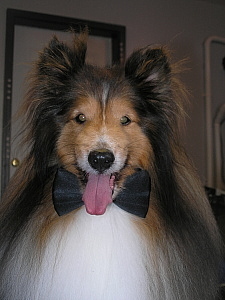 How about your pooch sporting the wedding colors? Coloring has become very popular in the past few years. 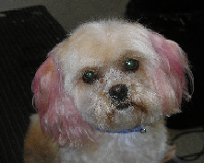 Just because you don’t own a poodle, doesn’t mean you can’t color your pet in different ways. 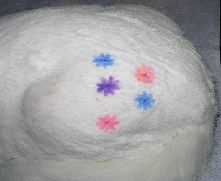 Ears can give flair to the head and face and some tails beg to be colored. And just to balance out the puppy, tails and feet look simply smashing! Of course, keeping up with celebrations such as Halloween, lets us tweak your canines to join in the fun without cumbersome costumes. How about something quick for the cats? Stenciling is a quick, easy way to add some fun to your feline. Not into colored fur? How about some shiny bling? 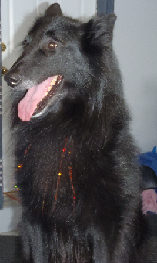 Hair tinsel on the canines makes them sparkle. Not advisable if you have a cat or puppy at home that may eat the tinsel. 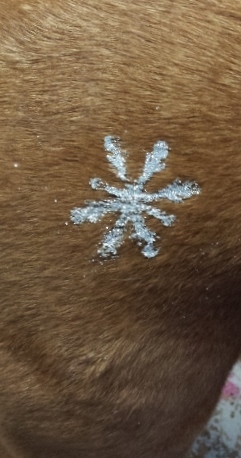 When Christmas rolls around, you dog may go home sporting a snowflake. 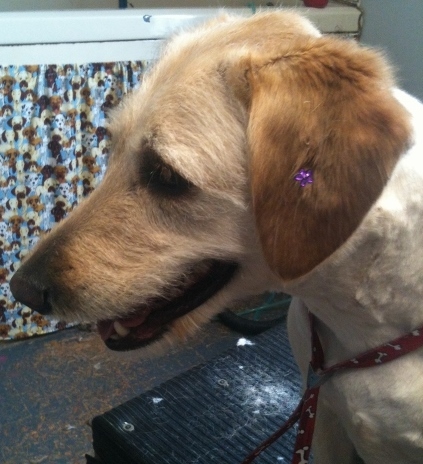 Bows, feather or ear rings may accompany your dog home! 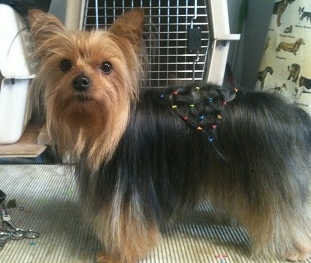 For something different for the silky breeds..
Creative grooming doesn’t have to be extreme and it can be a lot of fun. Many animals love having something colorful or flashy and will strut around showing off their new style. 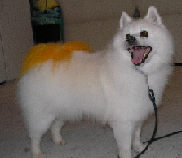 However, not every pet enjoys being flashy or colorful. 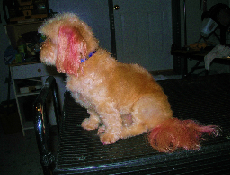 If your pet is acting embarrassed over purple ears or hiding a blue tail, a nice, neat hair style may be more to his liking. If you prefer no bling, please state so at time of drop off! For all the rest, if you have an idea, come in and discuss it with the groomer. The Garage makes creative grooming affordable!